Most non-pressuring, non-pushy, knowledgeable staff I've ever encountered at a dealership, regardless of brand: Joell, Mario, and Michael took my situation of replacing my totalled baby of 8 years from stressful to fabulous, and I couldn't be happier with my new Niro. Honesty in customer service goes a long way with my family and I, and not only was the team fantastic and accommodating with us, but with every other client we observed as well. They've earned my respect and business in spades! Sales Team: Nick + Steven + Jason Did I buy: yes I did Love the car and experience. Huge deciding factor - sales team experience and package price. We stopped by at Citrus Motors - Kia after having a bad experience at the Honda dealership across the way. I was in the market for a Hybrid and decided to stop here to see what they had. I had my sights on a Honda Insight at the beginning of the day. Our experience here was such a different pace. We ended up test driving the Kia Nero with Steven who gave us plenty of information about the car - what it had to offer. No sales pitch. We met Nick because I wanted to get a good idea on the numbers which from the gate was very easy. There was no slow level up to each important deciding factor. A complete package price breakdown - out the door picture. Nothing slowly tacked on then tacked on some more. Straight forward. We let them know what we were trying to work with and went from there. I was looking at the Nero sport and it was a good deal. I was comfortable with it and the experience of the day - I didn't feel pressured - it was stress free. Before deciding - we asked for some time - I still hadn't been able to see an Insight and I wanted to cover my bases. Note: That exchange and exit took 5 minutes, we didn't get the "close the gates ! " feeling. So we scooted over to another dealership so I could sit in an Insight. I have to say that at Citrus Motors they spoiled us! The 1hr 30+ we spent at the other place was us trying to hack our way out the exit door after we couldn't even get a baseline of what we can work with. When we told them we were going to go with something else - the sales manager was so aggressive - we had to pretty much walk out mid sentence. We walked out feeling like we made it to fresh air - we felt like not only did we have plenty of information to make a decision with the Kia, the experience was the icing on the car. We didn't have to settle for a base car and despite my less than stellar credit - Nick and team were completely willing and able to work with what we had. End result: We have a new car we are happy with and knowing that we had a good experience with a no pressure, friendly and VERY accommodating sales team (by the time I got back from the Honda place - I had a migraine, lol) Recommendation: If you want to feel good about what you're getting, get a good deal knowing your not going to be sheep herded into something you aren't sure about - highly recommend stopping by here. I've been looking into a new car recently and haven't been able to nail done exactly what I want. Today I visited Kia Citrus Motors and was VERY PLEASED with my visit today and also being helped by this amazing young man Steven. I was roaming around the lot , while there were other workers on the lot, only Steven acknowledged my presence and was very respectful and cheerful! I mentioned to him I was currently just looking around and not interested in making a purchase just yet and he was completely respectful of that and did not rush me into buying and I didn't feel pressured or attacked into buying a vehicle right then and there like I was just a commission check. He even mentioned how Citrus Kia was family owned and commission free , which made me 100% more comfortable and assured that he wasn't just helping me for a check of his own. I looked into the Kia Optima based off of good reviews from family and friends and Steven knew every ins and outs of the vehicle and give me 100% reassurance he knew EXACTLY what he was talking about and never hesitated to answer a question. Even though I'm currently not 100% ready to purchase a vehicle , I know that I want to come back to Citrus Kia and do all my business with Steven! Wonderful to have a dealership treat you with respect. Warm, friendly, sat down and listened to what we were looking for. Definitely went more than the extra mile. Salesman George is terrific, really cares about the customer. Thank you!! We had a very refreshing car buying experience here- Rachel, Steven, and Mike went out of their way to give us a great deal on a new Kia Soul. Although the process is long, they worked hard to make it pleasant, not one bit pushy. Steven is such a kind soul- funny and personable through and through. On the financial side of things, Mike was more than fair and honest. Both Steven and Rachel did a great job making us feel comfortable while checking out the cars and were patient with our decision making process. We are very happy with our choice and would definitely recommend this dealership. Thank you Nick, Rachel, Chase, and Buck. For making our 2016 Ford Focus ST purchase a great one. Thank you for taking your time and staying late to accommodate us. My son Isaac was super excited to purchase his first vehicle. His words, "you guys are super chill". Thanks again. We will definitely recommend our family and friends to you folks. Here at Citrus Motors Kia Ontario, we only speak one language: cars. Of course, we’re fluent in its many dialects, including parts, service and finance. If you’re interested in learning the lingo yourself, stop by and see us at our Ontario, California showroom today. Whether you hail from Riverside, Corona, CA, Chino or Fontana, we’ll be happy to bring you up to speed. The first thing you’ll notice when you step into the Citrus Motors Kia Ontario showroom is an amazing selection of new Kia models to choose from, including the Kia Optima, Sorento, Soul, Sportage, Niro, and Forte. We carry a wide range of models that make cruising Ontario, CA, Riverside, Corona, CA, Chino and Fontana a more enjoyable experience, and a test drive is never more than an inquiry away, meaning you can learn more about any more you’re interested in with ease. Interested in the time-tested value of a pre-owned vehicle? 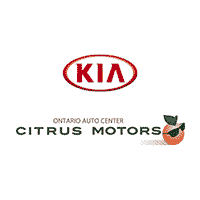 Citrus Motors Kia Ontario, CA has an incredible selection of used cars available here in Ontario, CA. Our reliable array of vehicles spans across several auto brands, so you’re sure to find a pre-owned vehicle that perfectly suits your needs. Our Citrus Motors Kia Ontario finance staff can take it from here to find a car loan or lease option that works for you. Sure, they’re handy with numbers, but when it comes to serving our Riverside, Corona, CA, Chino and Fontana customers, you’ll find that every member of the team is a people person. And when it comes to securing low interest rates, their powers of persuasion will prove it. The best part is, after spending a little time ironing out the finances you can hop in your new Kia and show it off. Of course, Citrus Motors Kia Ontario doesn’t stop to rest once the sale is over. Instead, we put our Kia parts and service experts to work for you! Whether you’re a D-I-Y enthusiast who’s looking for that hard-to-find part or you want to drop your car off at our Ontario, CA service station and have the work done for you, we’re here to lend a hand. Now that you know everything Citrus Motors Kia Ontario has to offer, chances are you’ll want to actually see it for yourself. If so, come see us at 1350 S Woodruff Way in Ontario, CA. Our team will be more than happy to show you around, set up a test drive, talk finance, order parts or schedule your next service appointment.